Perhaps the most critical occurrence in the instructional design process is identifying the instructional goal. If not done meticulously, even a well-designed instruction may not serve the course’s real purpose. Two basic methods are used to identify instructional goals: the subject-matter expert (SME) approach and the performance technology approach. Often, when SMEs are asked to develop instructions in their areas of expertise, they are likely to consider what they will teach. The instructional goals established by SMEs are often based on words such as know and understand, in terms of information. However, the preferred approach is the performance technology approach, where instructional goals are set in response to problems or opportunities. The best way to derive instructional goals is to follow a needs assessment process. Goals are usually stated as skills, knowledge, and the attitudes learners must acquire to fulfill the identified goals. Verbs such as “to identify,” “to list,” “to select,” “to compute,” “to predict,” and “to analyze” explicitly describe observable actions. 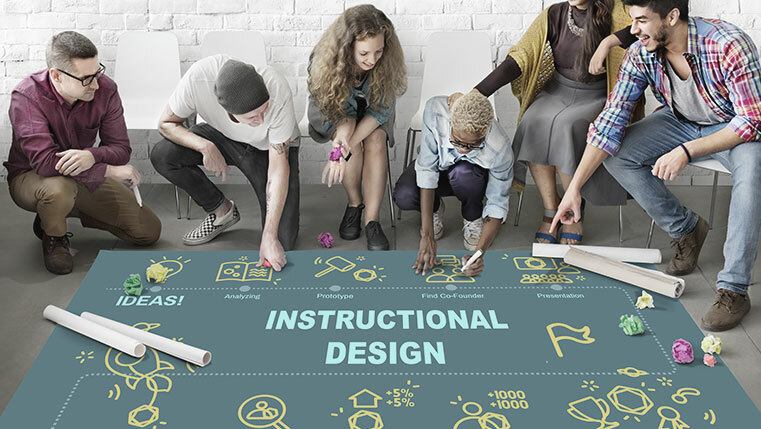 In this blog, let’s look at three strategies to achieve instructional goals that meet the criteria for initiating the design of effective instructional design. A constant hitch in organizations, both big and small, is the failure to achieve certain organizational goals. These are often viewed as resulting from an improper use of or lack of skills. It is then that the L&D managers assume that training is the only solution. Before jumping into conclusions, as a training manager, ensure that you undertake a performance analysis. With proper performance analysis, you can determine the nature of the organizational performance problem and look for options to resolve it. The main purpose of a performance analysis study is to ascertain gaps in the existing model and identify possible solutions. If the solution is training on new skills or refreshing existing skills, instructional plans should be made accordingly. Needs assessment is a critical component of the whole design process. Bear in mind the cost involved in creating an instruction. Therefore, ensure you conduct a thorough performance analysis and follow other approaches to identify needs accurately. Before developing any goal-oriented instruction, base it on the type of the instructional needs identified. However, certain trainers choose to develop courses that are made mandatory for learners, regardless of their learning needs. Most often than not, learners construct their own meaning to every event they experience within an instructional experience. And with their unique experiences, they interpret information and events within the learning environment. Once a goal is set, it is analyzed and broken down into its subordinate or constituent skills. These enabling objectives are then put in order and sequenced, and appropriate learning designs and conditions for each skill are integrated into the developing instruction. Clear instructional goals help in identifying the behaviors learners demonstrate in a course. This is possible only when a proper needs assessment is conducted, to identify and address the issue in a course. A sound instructional design goal lays the foundation for all subsequent courses. Ensure that when you begin a course design, you have the right goals and objectives in place, enabling you to design courses that are suitable for your learners.